You’re ambitious. You’re energetic. And, what’s more, you’re ‘on the hook’ for generating revenue. So, like many folks in the same boat, you’ve got your eyes peeled for efficient ways to achieve your top-of-line growth goals. To that end, chances are you have come across – either deliberately or by happenstance – a new category of solutions that help boost your growth by tapping into the power of referrals. But, understandably, you’re skeptical because you’ve seen the all-too familiar promise of ‘everything you need’ applied to new offerings many times before. 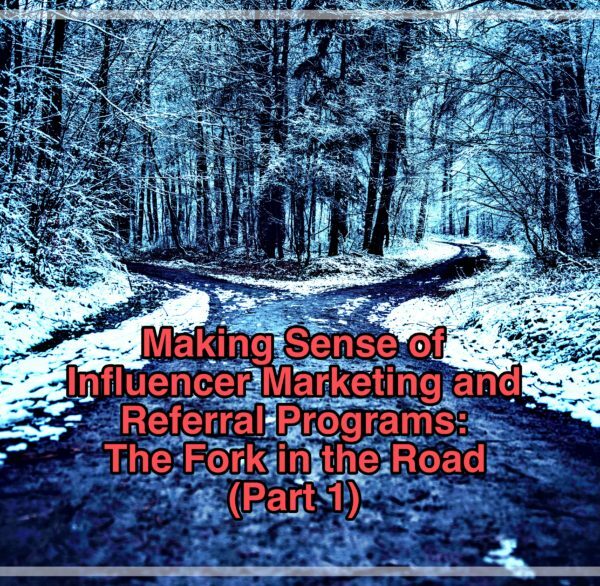 So, how can you make sense of the rapidly expanding selection of referral programs and related technologies that are now captured in this broad category that is labelled ‘Influencer Marketing’? Well, to start getting a handle on the offerings let’s explore the differences between solutions that aim to bring you customers who are consumers (i.e. B2C) and those that will bring you customers that are businesses (i.e. B2B). Why? After all, a ‘referral’ is a ‘referral’, right? However, there are very real differences that can help you decide which, if any, is right for you and which is right for you now. In an upcoming article, we’ll tackle some of the pros and cons of the key players in this growing field and how some blur the line between B2B and B2C. But, to begin, let’s compare the nature of B2C vs. B2B programs. Thanks to Arash Alborz, the Founder of Echomybiz for his insights into B2C programs. In just one year, his company has grown rapidly and now has a handful of marquee clients and several thousand active referral sources using their disruptive ‘white label’ platform.